Bai Choi (also called Baichai) has the meanings of wealth since Bai Choi is pronounced as hundreds of wealth in Chinese. Most business men would like to display Bai Choi in their officer to welcome money luck and boom business. 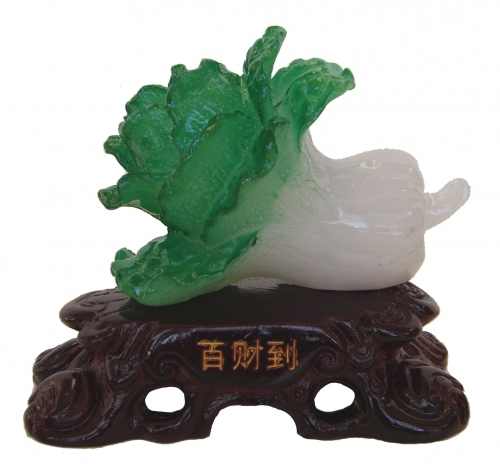 The Bai Choi is standing (glued) on one wooden like stand with Chinese words "Hundreds of Wealth". The Bai Choi is made of resin. The dimension of it is approx 4.75"(L) x 2.5"(W) x 4.25"(H).